Frionett® Power Ultra from Climalife is a powerful and lightly scented, general-purpose cleaner of all smooth surfaces. 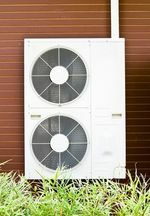 This alkaline product is intended for professional cleaning of refrigeration and air-conditioning facilities equipment: heat exchangers (evaporators, condensers), fans, etc. Disassembly is not required for cleaning. Rinse after 5 minutes of contact. Its cleansing and degreasing power eliminates dust, grease and other dirt, and in this way makes it possible to optimise the exchangers’ heat transfers and restored performance. 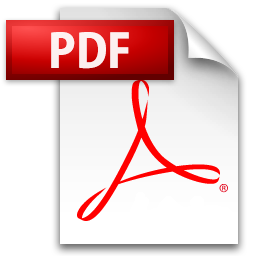 Frionett® Power Ultra: concentrated product; must be diluted. Dilute Frionett® Power Ultra in water, in a ratio of 1 part product to 5 parts water. After diluting, apply or spray the product directly on the surface to be cleaned or on a damp cloth. Leave it to stand for 5 minutes, and then rinse with water. Repeat as needed. 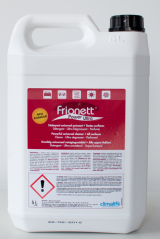 Frionett® Power Ultra RTU is a powerful and lightly scented, general-purpose cleaner of all smooth surfaces.